Nearly 80 kilometers southwest of Antalya, near the town of Çıralı in southwestern Turkey, lies a rocky mountain that’s been literally on fire for thousands of years. 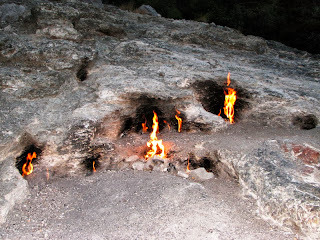 Almost a dozen flames burn on the side of the mountain fueled by methane gas that issue through the vents. 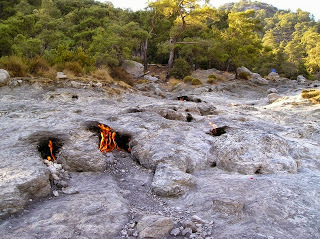 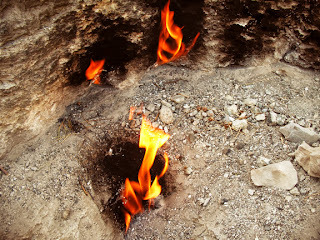 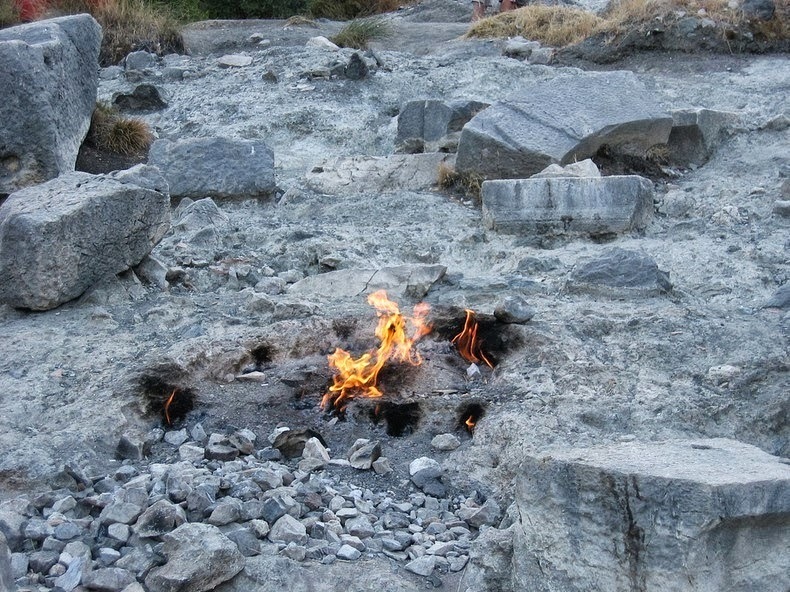 The fires are actually called Yanartaş in Turkish, have been burning for guessing 2500 years. 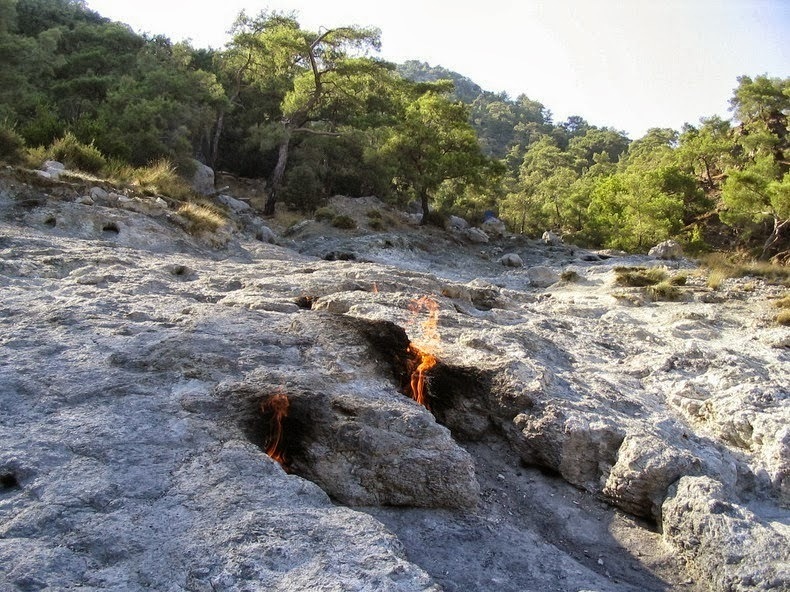 The vents represent the biggest emission of abiogenic methane exposed on land so far. 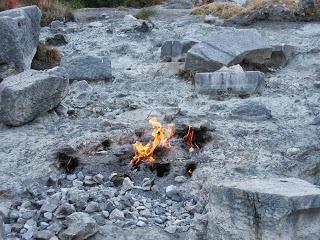 For hundreds of years, sailors could see the flames from sea and used them as a landmark to navigate, but these days they are more often utilized by hikers to brew tea. 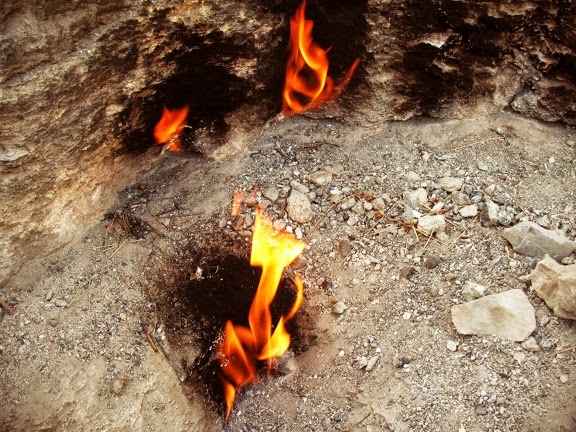 According to some ancient literature, these flames gave birth to the myth of the Chimera, a fire breathing mythical beast with the body and head of a lion, with the head of a goat arising from its back, and a tail that ended in a snake's head. 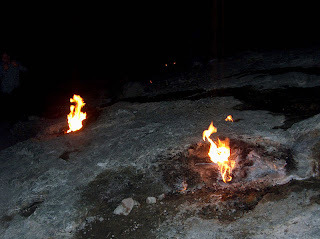 The fires are grouped over an area of 5,000sm and are fueled by gas emissions consisting generally of methane and hydrogen, both of which are inflammable. The flames are stronger in winter seasons, a frequent characteristic of such seeps, where gas flux is naturally modulated by gas pressure build-up induced by groundwater recharge and changes in atmospheric pressure. The fires burn continuously, unlike the Eternal Flame Falls that needs to be lighted.